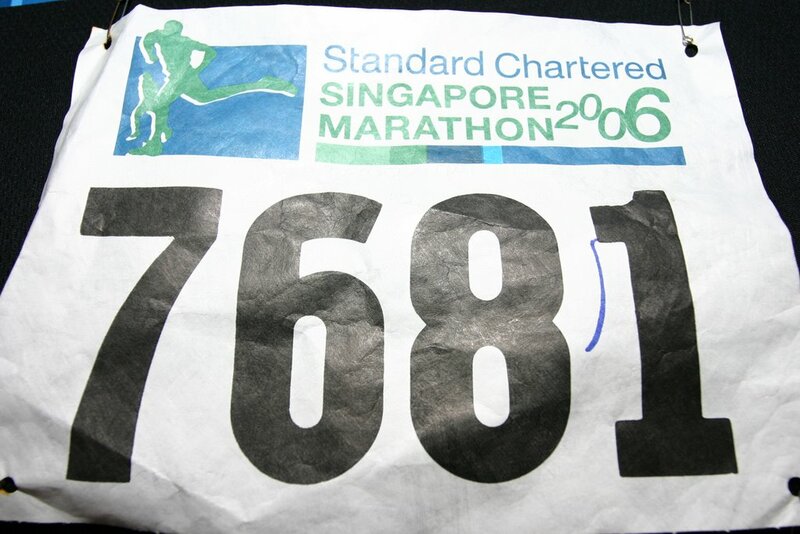 My 1st marathon , initially, it was a daunting distance to run. Somehow or another, I was really looking foward to it as the time built up. I was training reguarly in the gym and did running various distances (10 to 13km), although the training runs segment could be further improved, didn’t clock enough mileage. In the early morning , my cousins picked me up and I met my colleagues Vik & Allan at the Esplanade Bridge. It was the moment of truth. 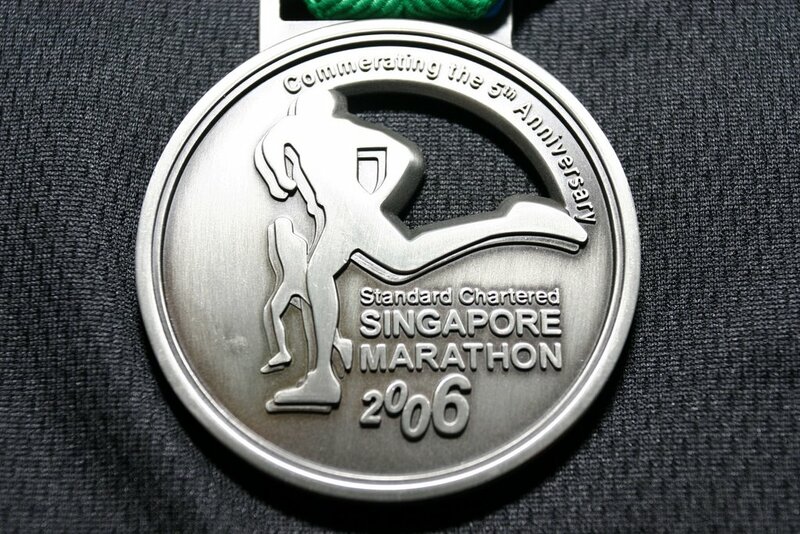 My objective is to complete the marathon distance in my 1st attempt. At 0600 hrs, we were flagged off and here we go ! During the whold run, there were many thoughts and emotions going through my mind. I was reflecting a lot on my career as a financial adviser, as I run and run, my career is just like a marathon, it is not an easy route to embark on. Like my career, do we run (work) for somebody/people we love or do we run (work) for our personal objectives? Or both ? I ran alright for about 24km before I really felt the pain in my both knee caps. I had an upset stomach after eating powergel. It was painful but I continued on, perserving and not giving up. I had to complete the distance, the objective that I set for myself to complete. Upon 30km onwards, my 2 knee caps were really painful and my history of injured knee caps from my illustrious history of playing football, basketball and rugby league. I was walking, it rained slightly. When the tough seems to get on you, do you throw in the towel ? That’s where the toughest people survive in any ordeal. We must never give up in anything we do! 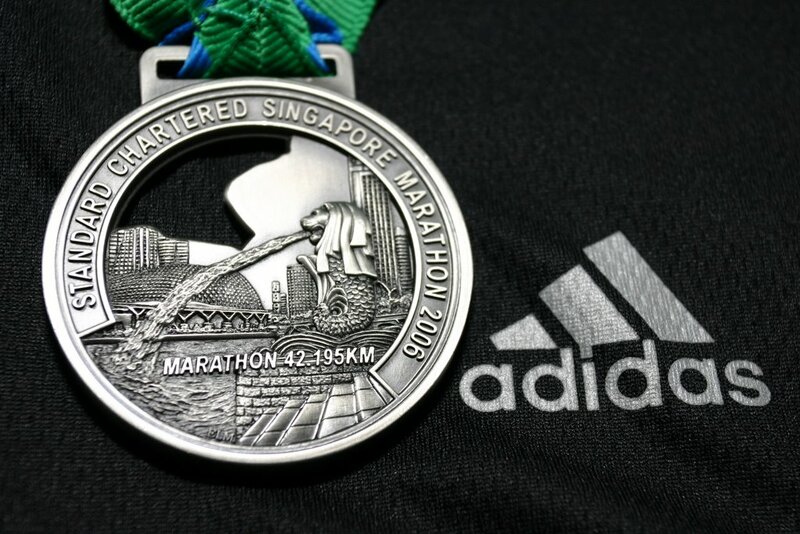 Walking, limping, running in the last 12km, it was really very difficult, people can ask “why do you have to go through all this?” , however, they would never understand how it can toughen a person up mentally, physically and spiritually. 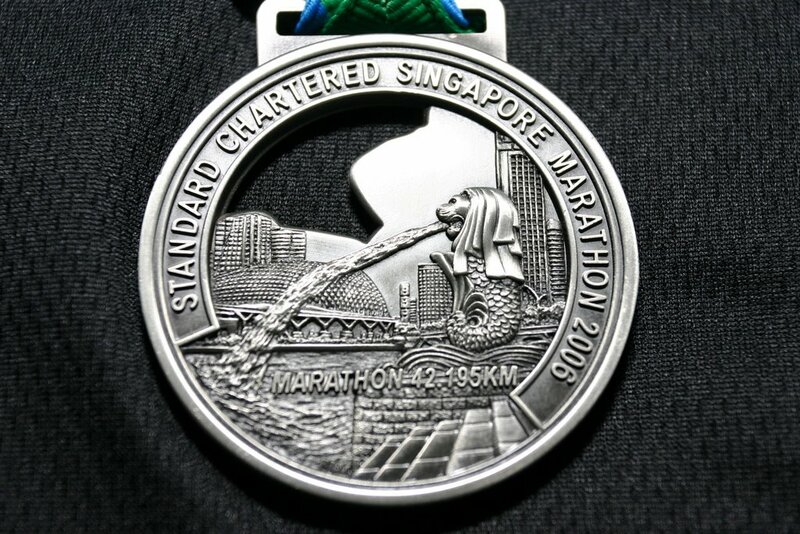 It’s not just about completing the run, it’s also about overcoming your fears and obstacles. Passing through the time clocks, a great sense of achievement and adrealine flowed through me, limping through with my 2 “busted” knee caps. 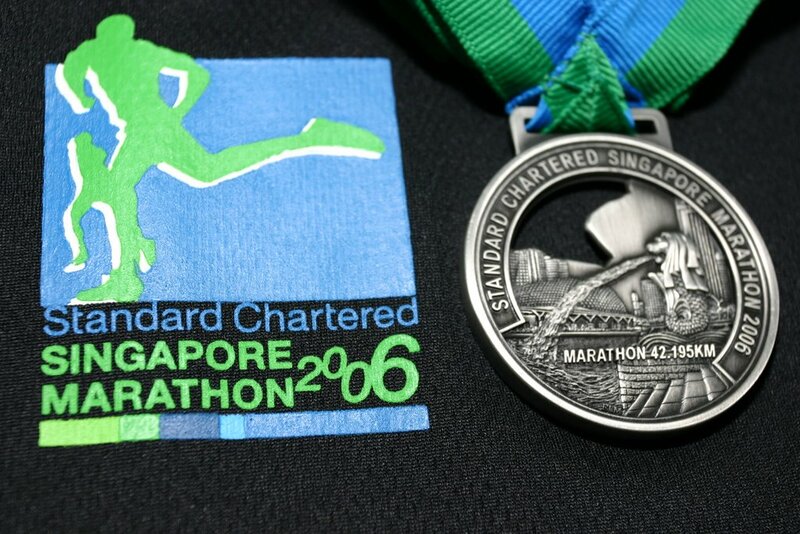 I went for my medal, finisher tee-shirt, banana and 100 Plus. Rest and caught up with my other colleagues, congratulating each other on the completion of a marathon. Back to home and rest…….. Ouch ! Well, finally ……. 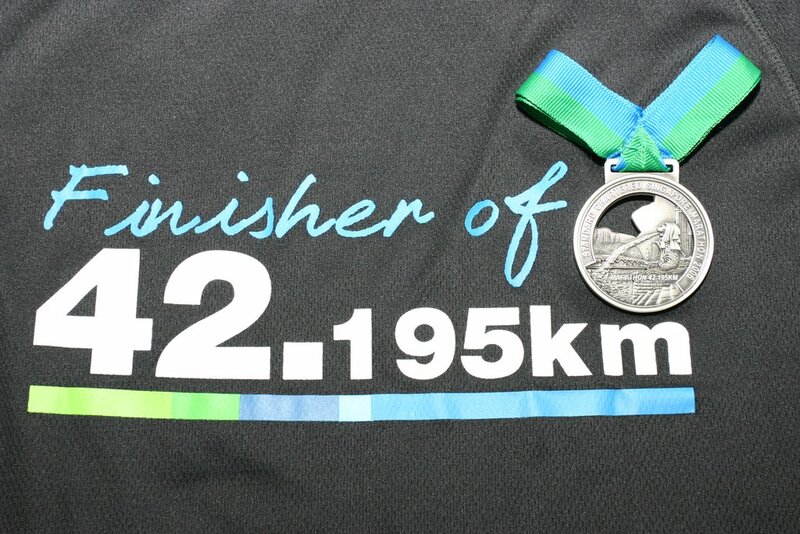 I AM A FINISHER OF 42.195km …………. YES!!!! !